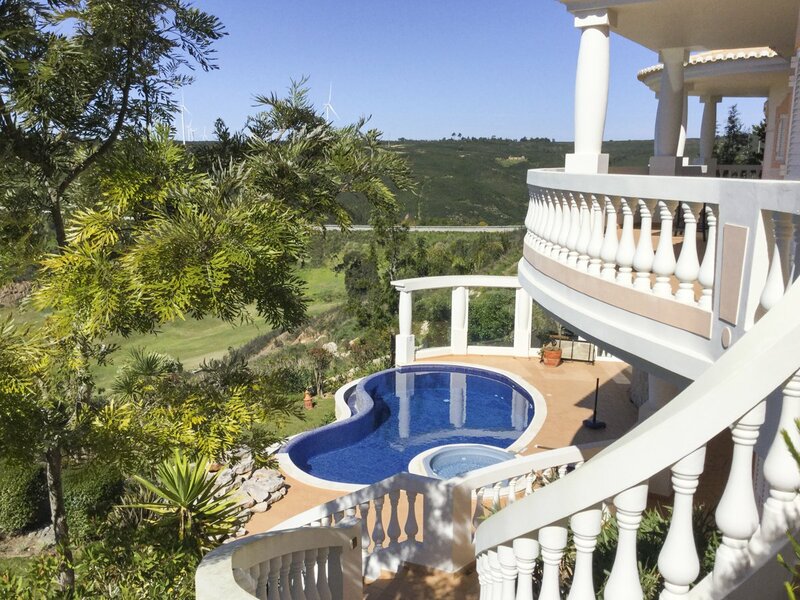 Perched on a gentle hillside, overlooking the greens of Floresta golf course, pretty villas within the resort and countryside beyond, Villa Xena is a beautiful private villa and pool. Sleeping ten lucky guests, this pink and white villa is attractively shaped with curved walls. 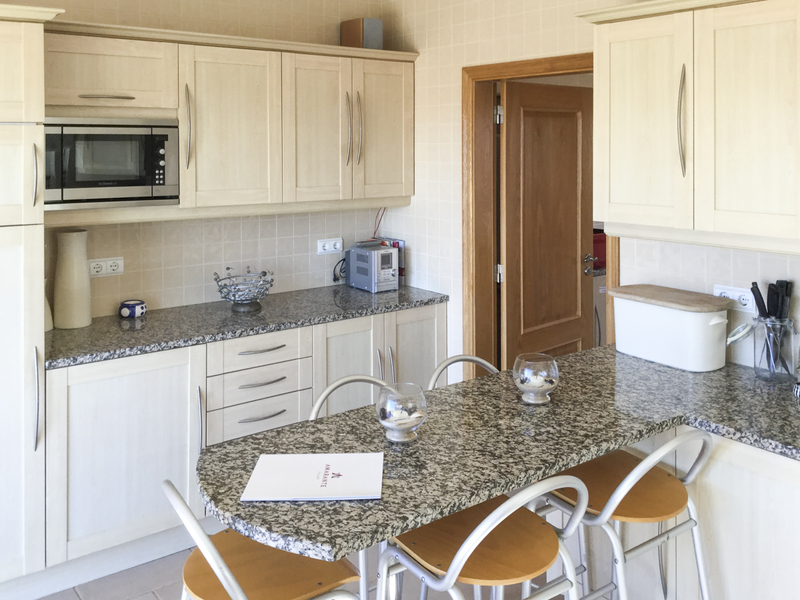 The open-plan lounge and dining room is warmly decorated, inviting you in to sit, relax and share good times with family and friends. 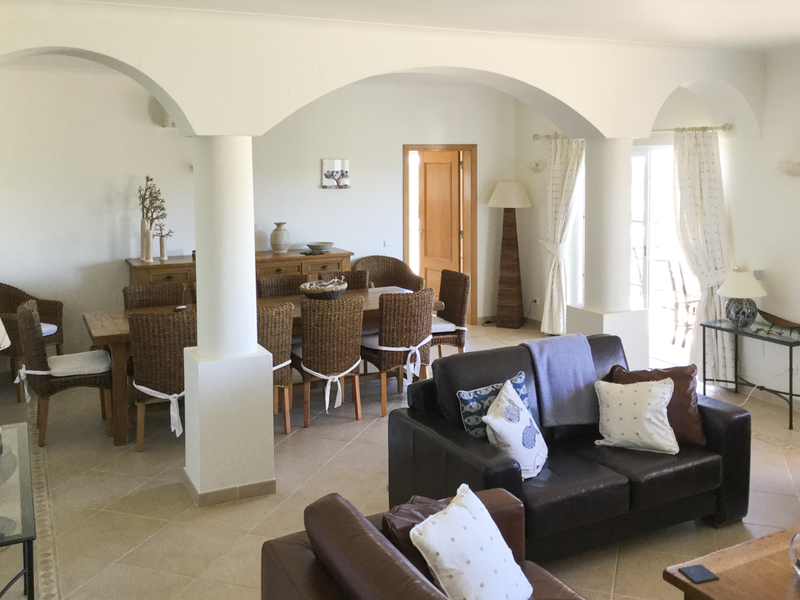 White-washed columns and arches are all that separate the terracotta-tiled dining and living spaces. 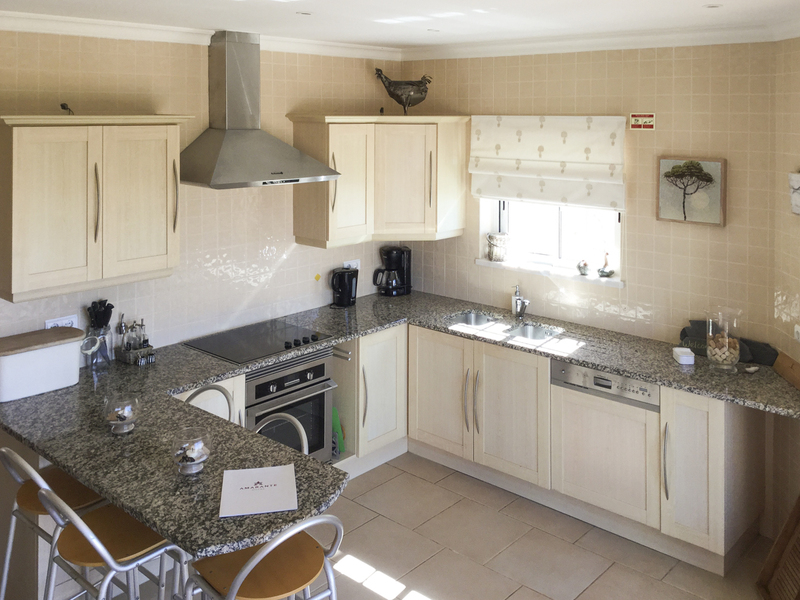 Leading off the dining room, you have a laundry room and well-equipped kitchen, featuring a breakfast bar, for keeping that night’s nominated chef company. Lunch, dinner or even breakfast can be taken on the shaded balcony outside. 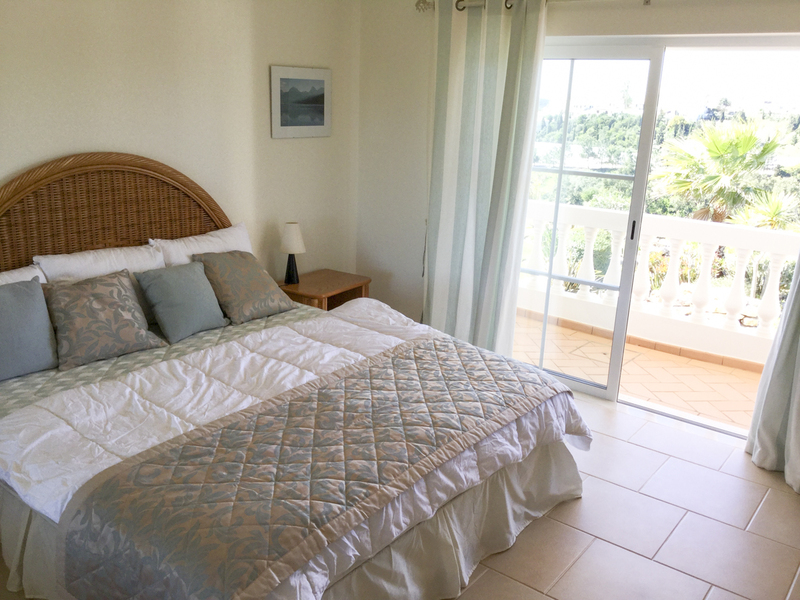 With a total of five bedrooms, Villa Xena accommodates ten people easily and comfortably. 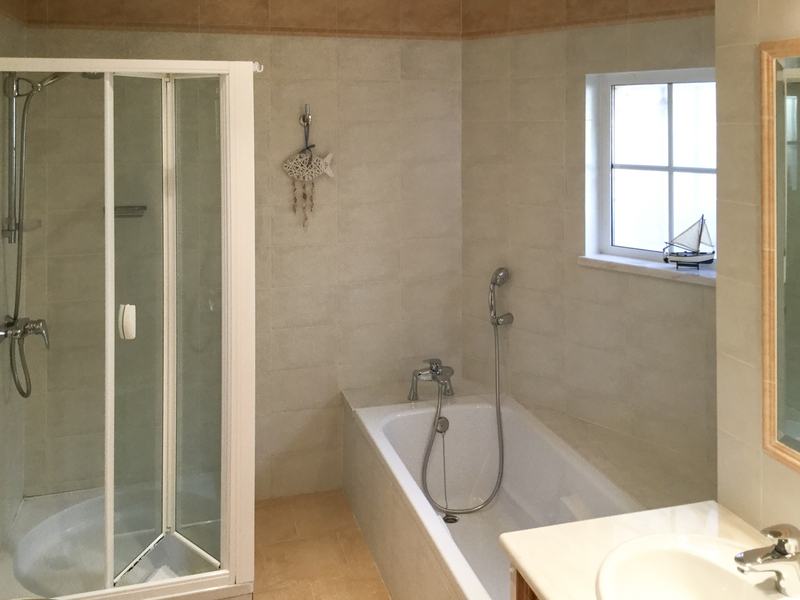 Three of the rooms are double, complete with en-suite bathrooms, including a bath and shower. They also benefit from merely delightful positions within the house. The floor length windows allow light to flood in, and you can venture directly outside to soak up your incredible view from the balcony. 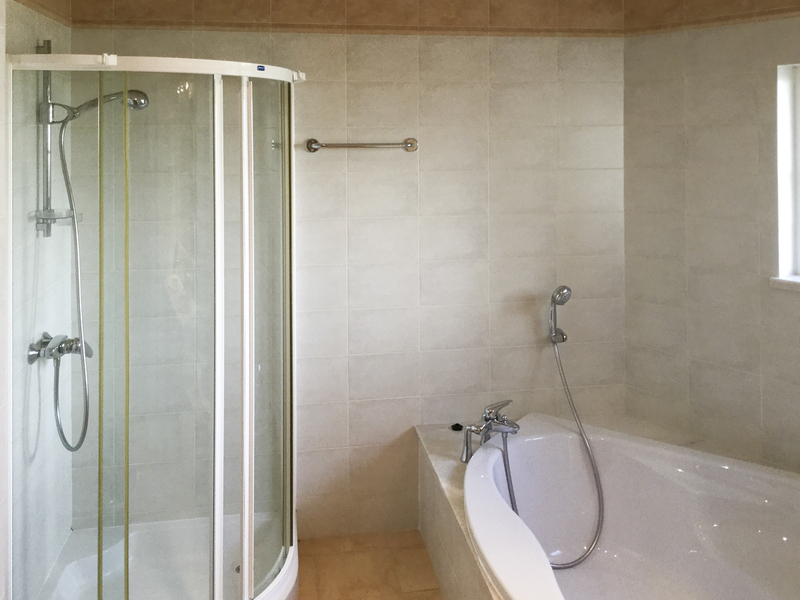 A further two bedrooms, a double and twin, share a guest bathroom also featuring a bath and shower. Move back downstairs and out through the double patio doors in the living-dining room, and you’re out onto your lower balcony. Still elevated above your pool terrace and garden, the views are as stunning here as they were upstairs. This second covered, collonaded vantage point also wraps around the length of Ville Xena, reaching the several steps leading down to the garden and terrace. This breath-taking space is Villa Xena’s undeniable wow factor. To the right, a magnificent Greek-styled portico frames the countryside beyond it into individual tranquil scenes. 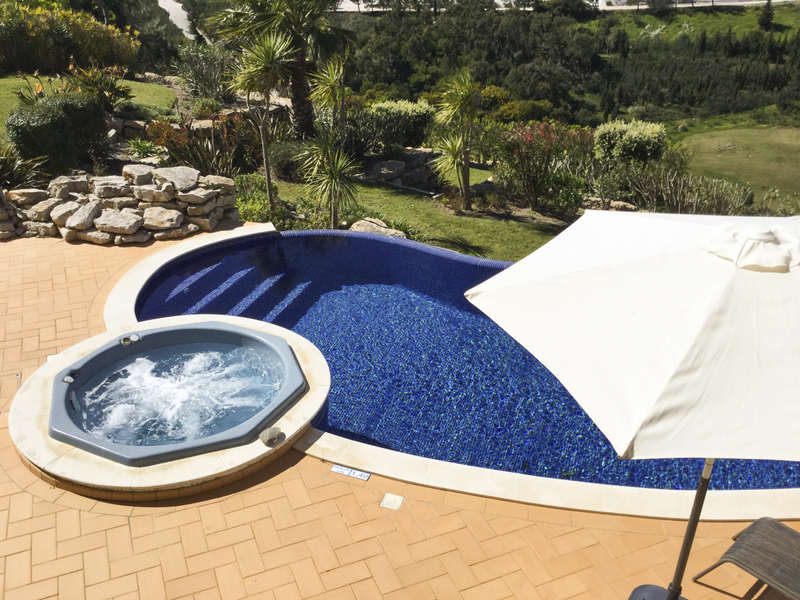 In front of this, you have a bank of sun loungers surrounding your kidney-shaped, private pool. A barbecue is provided for leisurely, pool-side lunches. The terrace also features an outdoor shower to wash away the heat of the day, before retreating to the shade for a cooling drink. 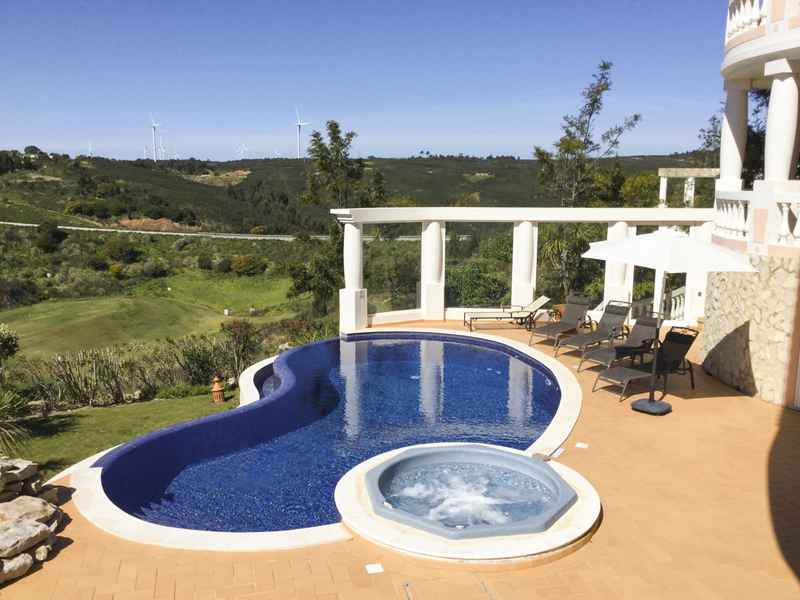 With the added luxury of an infinity view from the pool and your private jacuzzi; bubbling and irresistible alongside, your outdoor life here at Villa Xena could not be more indulgent. The beautiful garden slopes away from your private pool. Dotted with tropical plants and fruit trees, this haven will surely banish any remaining cares or home-based worries from your mind. How blissful! 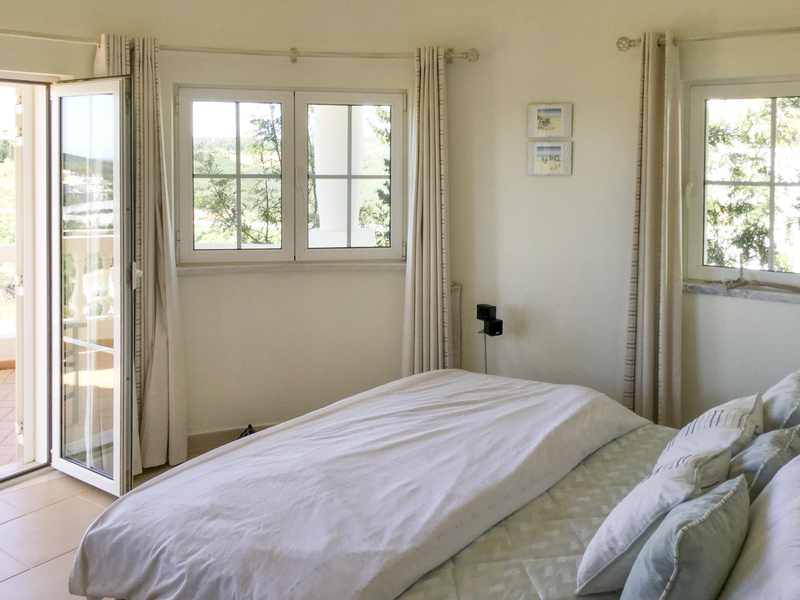 If you need a break from the luxury afforded by your private villa, you’re ideally located for exploring this corner of the Algarve. Budens, Salema and Lagos are well worth a visit and all within easy reach. 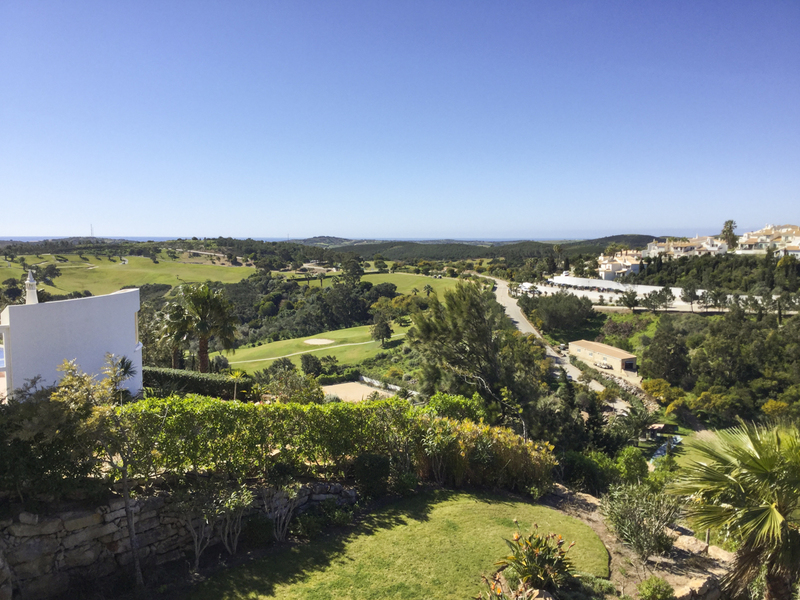 You have two beaches within four kilometres, and of course, the fabulous Floresta golf course is on your doorstep. 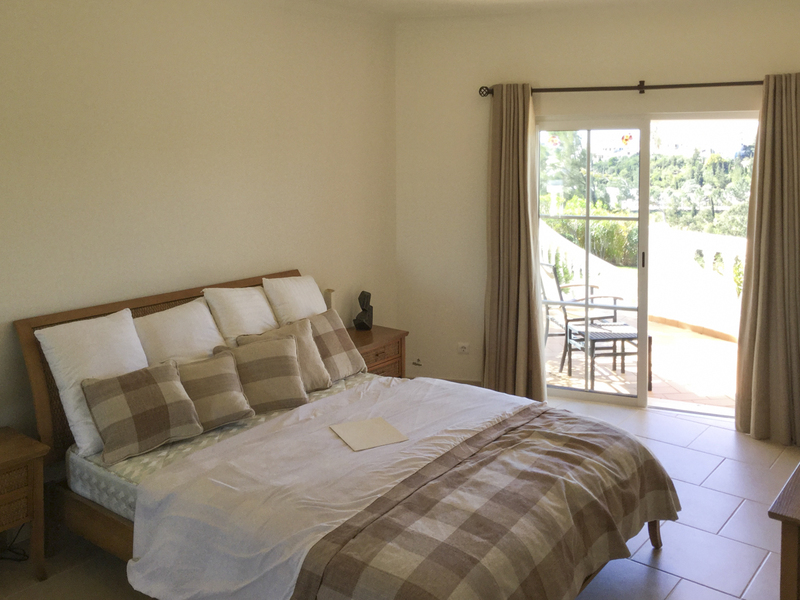 Situated four kilometres inland from Praia da Salema, Villa Xena occupies a prestigious plot within the Parque da Floresta golf and leisure resort near Budens. Your immediate surroundings are picturesque and peaceful, but on-site restaurants and a supermarket are less than a kilometre away. The centre of Budens is close-by and has all your essentials, as well as cycle hire, water sports, bars and restaurants. 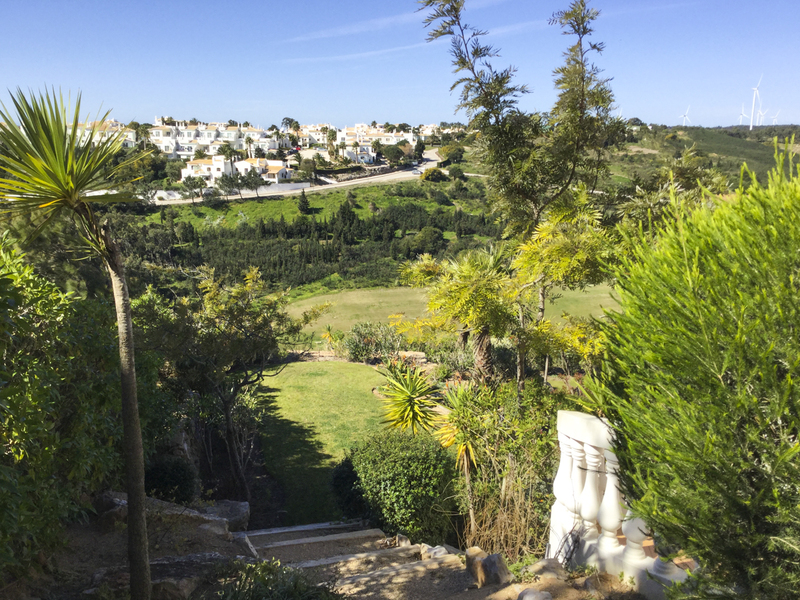 For sightseeing and trips out, Salema is only a short drive away. Small but with all its character in-tact, this charming village has a beautiful sandy beach which is frequented as much by fishermen as it is sunbathing tourists. Take a stroll along the promenade around the bay, stopping off for a coffee or beer at one of the beach-front cafes en route and enjoy the quieter side of the infamous Algarve. Fifteen kilometres further down the coast, Lagos town is a tourist hotspot, and it’s easy to see why. Despite its popularity, Lagos retains Portuguese character and is a safe, relaxing town to explore as a visitor. The waterfront is lined with palm trees, shops and restaurants and there are four of this region’s best beaches within walking distance of the town centre. Meia Praia is the largest beach stretching four kilometres along the shoreline. Praia Dona Ana and Praia do Pinhao are much smaller and surrounded by the beautiful sandstone cliffs synonymous with the Algarve. The ocean shimmers a brilliant turquoise, and the coves are ripe for exploring. The fascinating old quarter of Lagos is surrounded by Moorish walls, which house open plazas, charming cobbled streets and hidden-away bars and shops. Close to its historic centre, you have the modern marina which is perfect for an afternoon promenade and people-watching from a pavement café. The old and the new sit alongside each other very harmoniously in Lagos. Beyond the town centre, clifftop walks reveal dramatic scenery or for an adventure of a more human-made kind, take the family to Slide and Splash or Zoomarine water parks. About a forty-minute drive to both, your day will be filled with water slides, white-knuckle rides and fun! 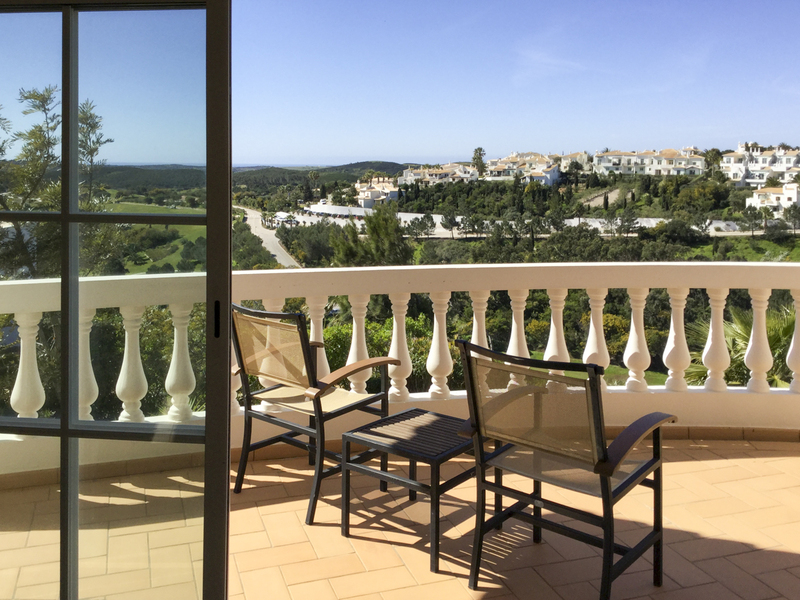 Your fabulous private villa and pool are located within one of Europe’s most prestigious golf and leisure resorts. 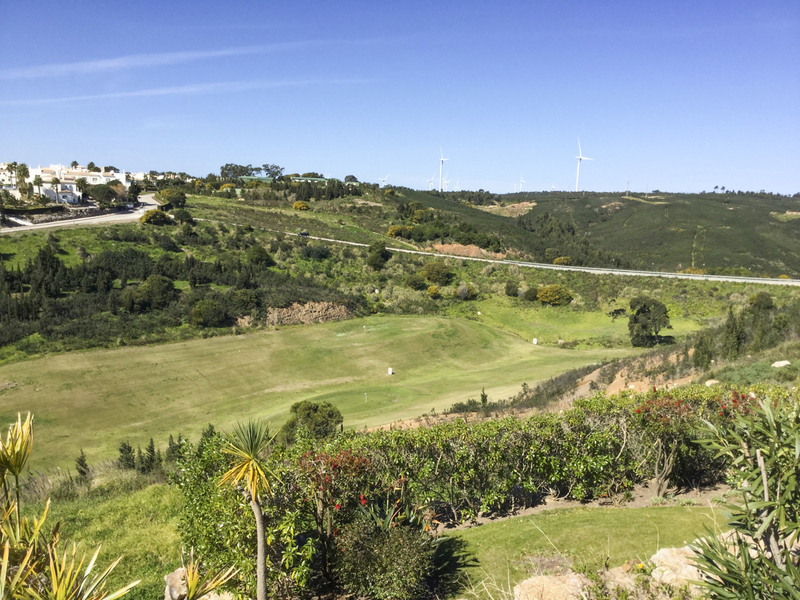 In addition to the eighteen-hole championship golf course, Parque da Floresta’s high-quality amenities include a shop, restaurants and spa.